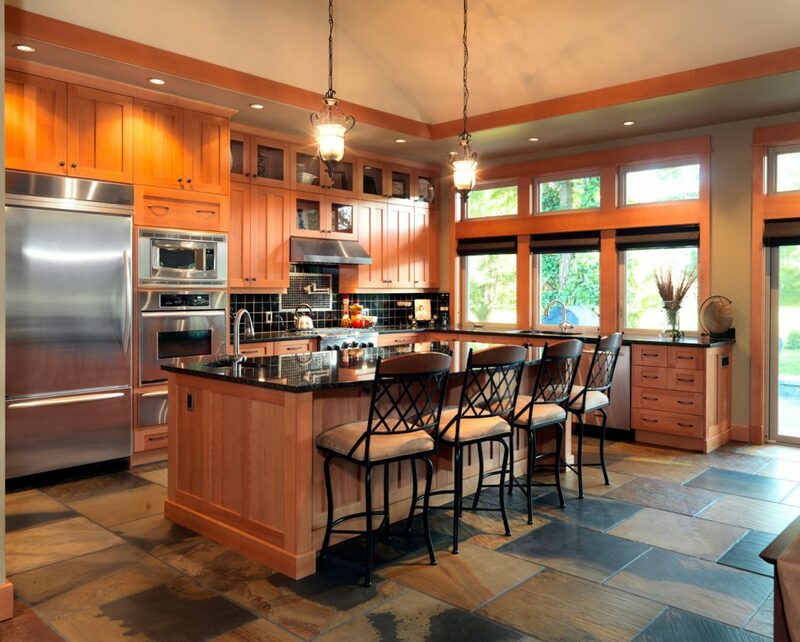 The kitchen is one of the most talked about rooms in home renovations and builds. For large-scale projects, many people are looking for a modern kitchen design to rejuvenate their living space. In fact, it is often one of the first rooms to renovate if you are looking to boost the value of your home and get the best return on your investment! But, it can also be a difficult task to begin on. After all, there are infinite possibilities for the design of your new kitchen. 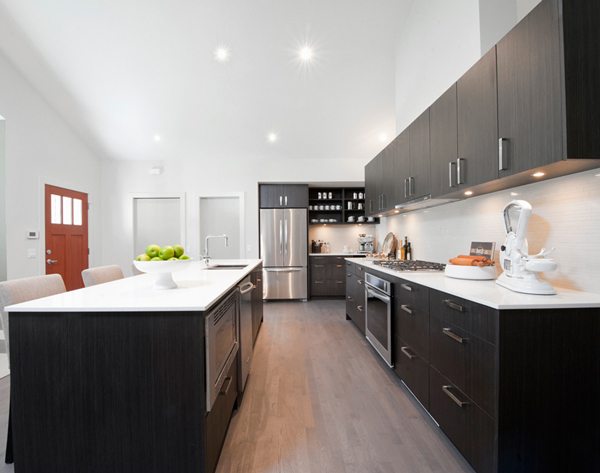 Here are some tips to consider if you are looking for a modern kitchen design for your home renovation or new home build! The layout you choose will balance a few critical factors. First will be the layout that you want to see in your dream kitchen. Second, the kitchen layout that best suits your lifestyle. Third, the layout that maximizes the functionality of the space the kitchen will be located in. Compromises must often be made, but rest assured you will end up with a modern kitchen that is both functional and aesthetically pleasing! The single wall kitchen, which is commonly found in smaller areas like studio apartments. This is a layout where the kitchen is built along a portion of a single wall. Modern single wall kitchen designs often feature a small island, which can help give you a bit more storage and counter space for cooking and entertaining. The L-Shaped kitchen is a layout that helps to maximize functionality in a corner kitchen. Although it may not be ideal for high traffic or larger rooms, a smaller room will benefit from the space utilization provided by this layout. A key benefit of L-shaped layouts is the short distance between appliances and the potential inclusion of a dining space within the area, whether it be a table or a small island. A connected island kitchen layout. 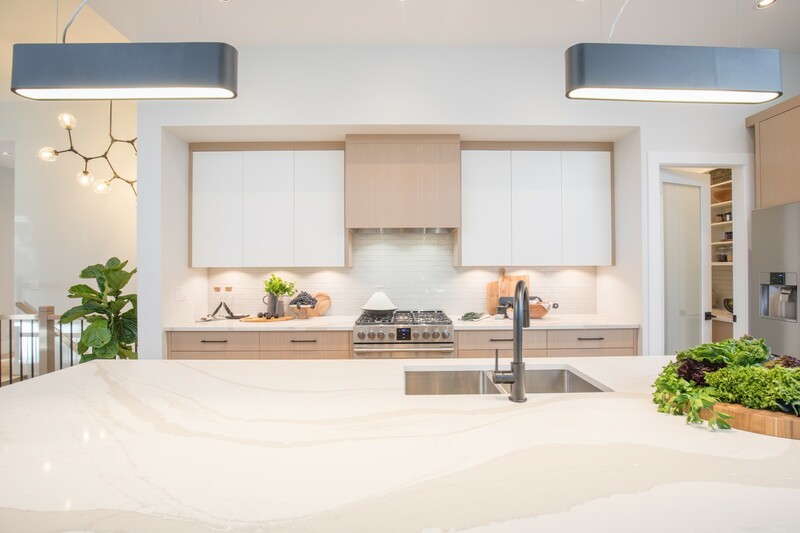 If your kitchen does not quite have enough space for a true island, a connected island attached to the rest of your kitchen can be the perfect compromise! These are great for adding counter space and cabinets to the layout in a smaller kitchen. 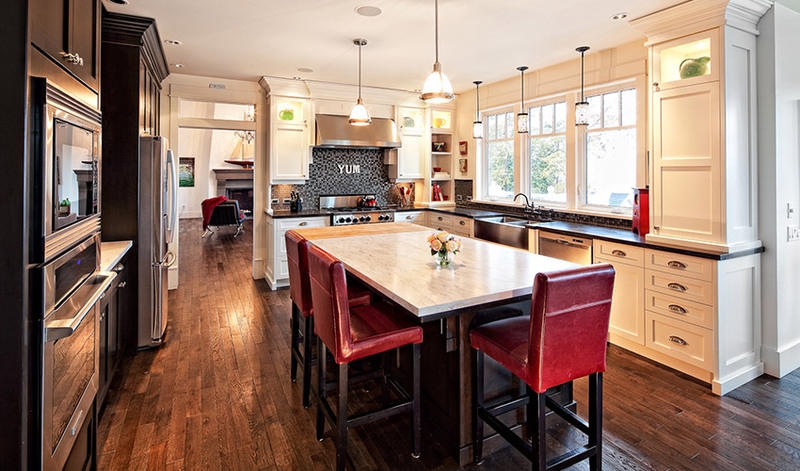 An additional benefit is the connected islands are often great seating areas for dining and perfect for entertaining, as you can use them to keep engaged with guests while cooking and to place dishes for serving! This is a great place to add a personal touch! In modern kitchen design, utilizing colour is a popular trend to help create a distinctive kitchen matching your personality and lifestyle. A dash of colour in your kitchen can create a unique style and atmosphere. This bright accent colour on trim or backsplashes can give your kitchen space life! This kitchen is livened up by the green walls and white cabinets. 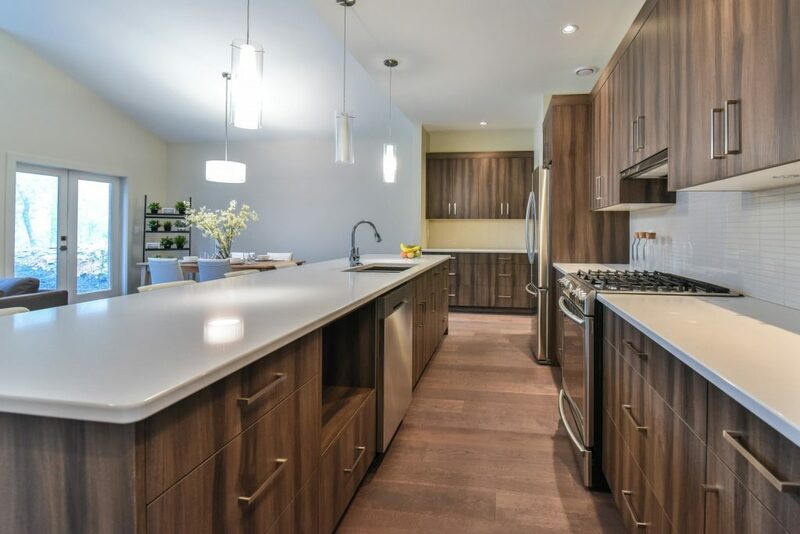 Neutral or darker cabinet colours can create a modern, contemporary ambiance. Traditional wooden colours and textures can give your house a sophisticated feel. As you can see from these, the use of colour in a kitchen can go a long way to creating a personalized feel that matches you and your lifestyle! You can even combine these tactics to achieve an even more creative kitchen design. In the kitchen below, the darker countertop and backsplash brings a cool, modern feel into the room, while the bright lighting and white cabinets keep it lively. The red chairs on the island are a nice touch of colour! As is the case with colour, lighting is crucial in creating an atmosphere that suits your lifestyle and personality. 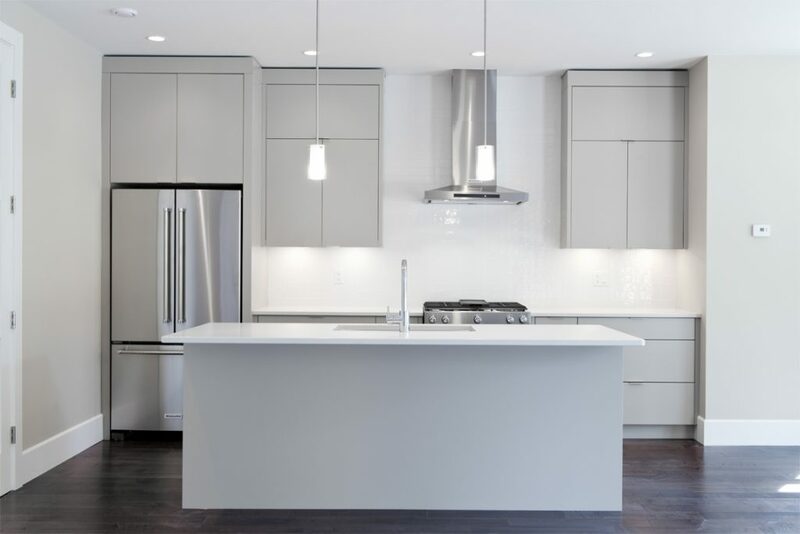 The light fixtures you choose (and whether or not they are visible) affect the overall appearance of the kitchen, while the amount of light in the area will create the desired ambiance. 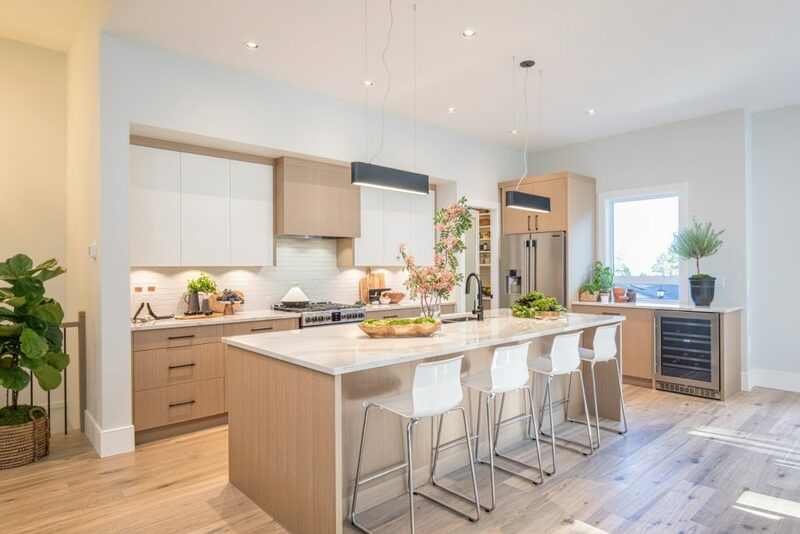 For example, a bright kitchen full of natural light feels warm, fun, active, and welcoming, while the hidden cabinet lights and fixtures above the island push towards a modern kitchen design. On the other hand, a darker kitchen with smaller and simpler lighting feels cooler, relaxed, and more mature. Generally, modern kitchen cabinets are designed to meet a balance between functionality and visual appeal. Modern cabinets are commonly characterized by their simplicity. They frequently feature flat design, minimal texturing and ornamentation, and solid, neutral colours. You will often see white, grey, and black (or shades of them on mixed with other colours) throughout many cabinet and kitchen designs. There are exceptions, of course, as some use traditional wood texturing and can still achieve the same contemporary feel! For countertops, modern kitchen design typically features a stone material, such as quartz, granite, or marble. The colour of the countertop can match the cabinets or provide a visually appealing contrast to the other features of the kitchen. For example, in the kitchen below, the countertop colour contrasts the cabinets to stand out but remain visually appealing. We hope this outline has given you some inspiration for your modern kitchen design! There are endless possibilities at your disposal to create the kitchen of your dreams. Whether you are looking for a warm, traditional, active look or a modern, calm, cooler ambiance, you can design a perfect kitchen to be as functional and aesthetically pleasing as you need! 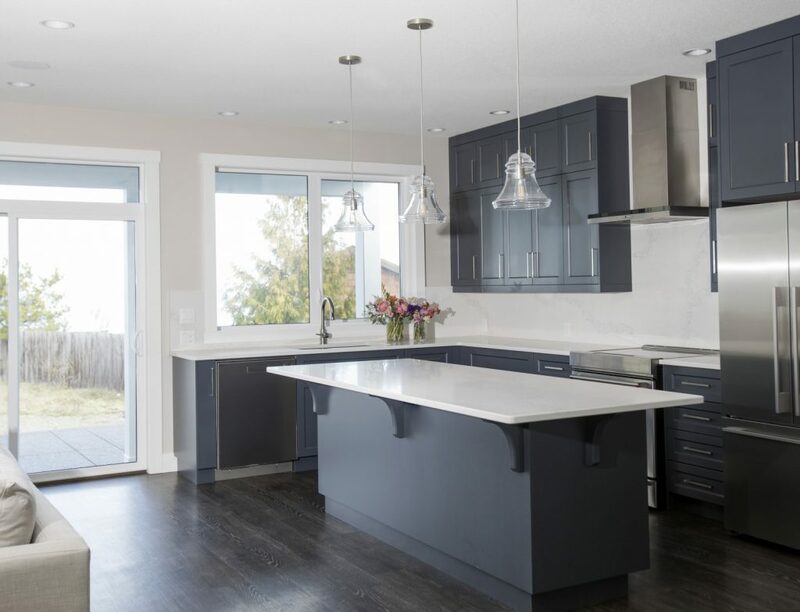 If you are thinking of a custom home build or a large-scale home renovation on Vancouver Island, contact Westmark Construction! We can help you create the modern kitchen design perfect for you! Custom Home Building – Should I Hire an Interior Designer? Contact Us for Custom Home Building Needs! 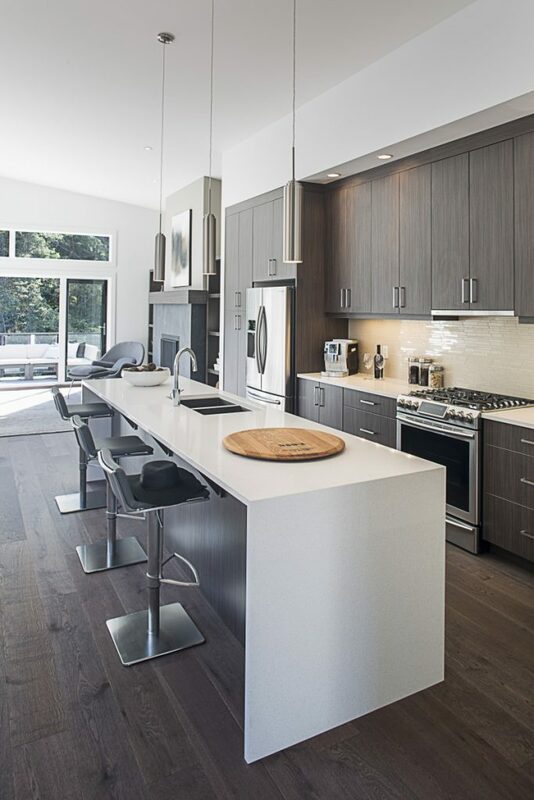 Check Out Custom Modern Kitchen Designs in our Portfolio!